Welcome aboard the Taieri Gorge Railway - one of Dunedin's top attractions. Combine a wealth of history with railway charm and the result is one of New Zealand’s best-loved and well known scenic railway journeys. 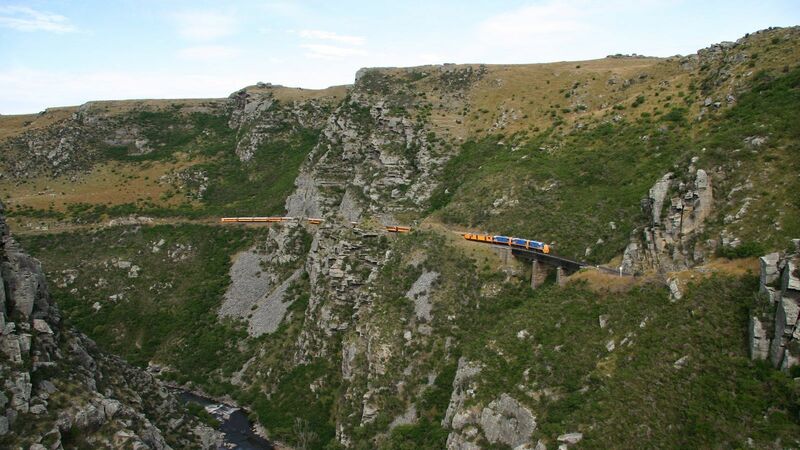 The Taieri Gorge Railway travels through the spectacular and ever changing Taieri River Gorge, offering amazing views and a fascinating insight into the building of the railway line by New Zealand's early pioneers. Departing from Dunedin's iconic Railway Station, the train travels through the Southern parts of Dunedin city until it arrives at Wingatui junction where it turns off onto the Taieri branch. 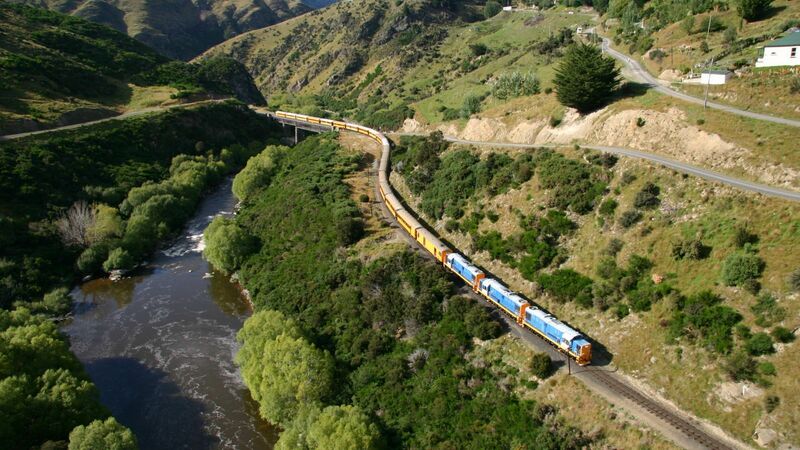 From here the train sneaks across the Taieri Plains and climbs into the Taieri Gorge, a narrow and deep gorge carved out over aeons by the ancient Taieri River. This tour will turn around at Pukerangi - a peaceful outcrop at the end of the Taieri Gorge. It is our most popular tour and at four hours long and you will see all the highlights of the railway. The train will stop or slow down at various scenic points along the way for photos where you can disembark and stretch your legs and enjoy the best of beauty, peace and quiet that nature has to offer. Stand on the open air platforms while the train moves or enjoy a quiet drink and food from our on board cafe while our train manager tells the story of the nature and history of the area in an entertaining and informative live commentary. *Please note that due to the remote nature of this journey, mobile phone connection is limited and it is not always possible to use credit cards or eftpos in our buffet carriage. It is therefore recommended that you bring cash if you wish to purchase refreshments. We accept NZ, Australian and US dollars. "The natural wonders combined with the challenge of man-made engineering will leave you amazed, but somehow the railway blends into the natural environment perfectly. It is a wonderful example of the sheer determination of early railway pioneers." Would you like to travel with us? Want to know more about us before booking? Our friendly team can help answer all your enquiries. For most frequently asked questions regarding our train journeys see our FAQ's page for quick answers.